A footballer has been convicted of using his car as a "one tonne weapon" to "knock down spectators like skittles" after his team lost a match. The 36-year-old Margam player "lost his temper" and drove into the victims after a game in Cornelly, Bridgend county, on 19 April 2018. He claimed he was trying to escape the teenagers when he got into his car after they called him "fatty". 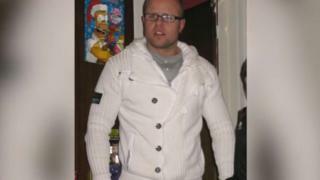 But Christopher Rees, prosecuting, said Taylor "got into his car to drive at the youths because he lost his temper". Some of the boys were thrown up into the air and it was only by "sheer good fortune" none suffered injuries worse than cuts and bruising, he added. "It was an attack that was out of all proportion to the playground nonsense that happened beforehand." Newport Crown Court was told he had previous convictions for 24 offences, including criminal damage, taking vehicles without authority, common assault and affray. Judge Daniel Williams said he would consider handing down an extended sentence for the "serious offences" after a report by the probation service. After the hearing, Janine Davies, from the CPS, said: "Lee Taylor used his car as a weapon, deliberately driving at the group. "When cars are used as weapons the consequences can be devastating. We wish all those injured in this incident a speedy recovery."